Its location was good. There were some activities in the hotel which children enjoy and spent time with. It involved spa, gym,restuarant and bowling/games. 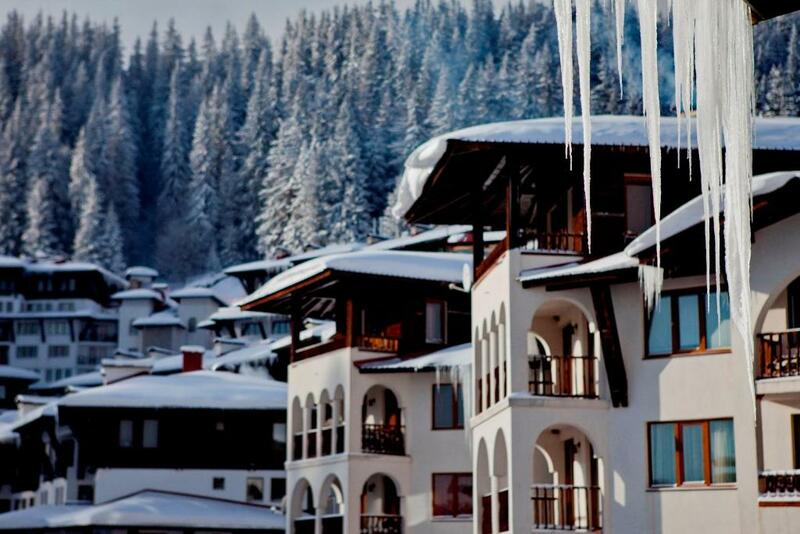 The Location is perfect, on the slopes, ski in-ski out. The location was very convenient and the stuff was helpful. What I like the most is the location of the complex, it is actually right to the ski slope. The other things is when you have any questions or issues the receptionists always try to help you. Very polite satff and customer oriented from end to end. Mahana restaurand is excellent choice and is worth to go there. 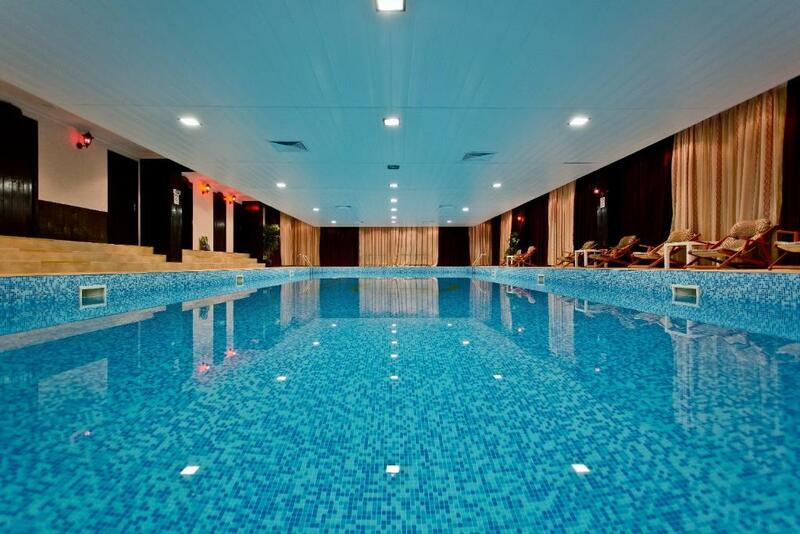 Spa centre is very good also with pool and sauna. Apartment was very clean with all necessarry accomodations and appliences and furniture. Excellent location with direct access to the slopes. The best thing about the hotel was that is was placed on the slopes, we basically had to go up 2 floors and get on the board down to the chair. I also liked that it was warm, we had a big living room open space kitchen kind of thing and we had a place to hang out. We were a group of 6. Price was really good! Perfect located accommodation. Our Apartment was stunning and beautiful. All the staff were incredibly helpful and provided us with everything we could possibly need. Grand Monastery Hotel Apartments This rating is a reflection of how the property compares to the industry standard when it comes to price, facilities and services available. It's based on a self-evaluation by the property. Use this rating to help choose your stay! 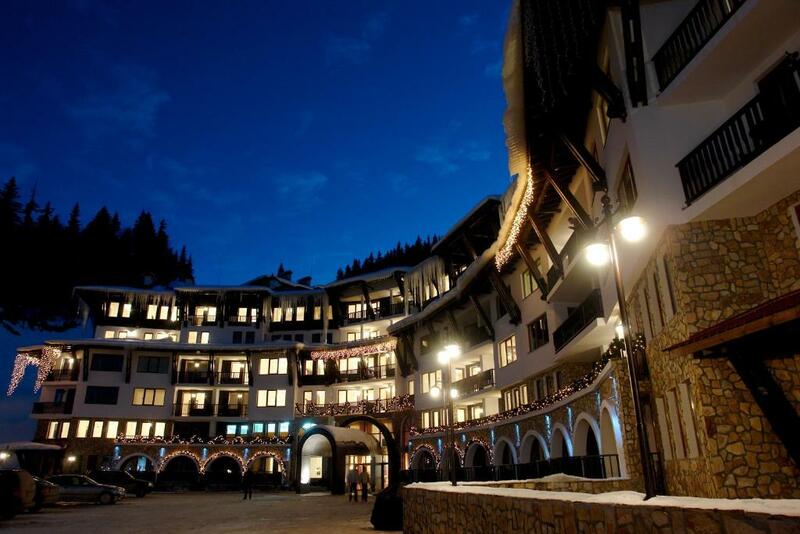 One of our top picks in Pamporovo.Located right by the Studenets ski slopes in Pamporovo, the Grand Monastery is a holiday complex offering standard and luxury apartments with fireplaces. Facilities include a restaurant, a lobby bar, a night club, a supermarket and free parking. The main ski elevator can be reached in 350 feet. Located in all buildings of the complex and surrounded by the Rhodope Mountains, the fully furnished apartments at Hotel Grand Monastery are equipped with cable TV and air conditioning. The comfortable living rooms are set around the fireplace and they include a well-equipped kitchenette. The apartments are serviced daily and the bed linen is changed twice a week. The complex has a new kids club with a slide and an animator, entertaining the kids with games and creativity. In winter season, guests can unwind at the swimming pool or sauna free of charge. There are also a bar and Asian massages upon request and availability. Guests can enjoy a national specialty in the restaurant, relax with a drink in the Magnitto live music bar or visit the hotel’s night club. Grand Monastery Hotel also offers a 3-lane bowling alley, electronic games and billiards. Breakfast from a set menu is available. 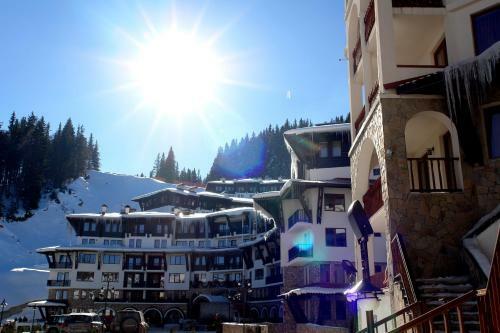 뀐 Located in the top-rated area in Pamporovo, this property has an excellent location score of 9.1! When would you like to stay at Grand Monastery Hotel Apartments? These apartments have a double or twin bedroom and a double sofa bed in the living room (maximum capacity 4 people). There is a fireplace in all apartments, which can be made up for an additional fee. Maid service is daily and linens are changed twice a week. These apartments consist of a double bedroom, a twin bedroom and a living room with a double sofa bed (maximum capacity 6 people). There is a fireplace in all apartments, which can be made up at an additional cost. Maid service is daily and linen is changed twice a week. These luxurious apartments are located in the 1st and 2nd annex building, and are closest to the lobby bar, restaurant, Victoria Spa and the bowling facilities (maximum capacity 4 people). Stylishly decorated, all feature bright décor in pastel-color scheme, and a cozy fireplace. These luxurious apartments are located in the 1st and 2nd annex building, and are closest to the lobby bar, restaurant, Victoria Spa and the bowling facilities (maximum capacity 5 people). A studio with a seating area and a kitchenette. A TV with cable channels, and a fireplace are provided. The bathroom is equipped with a shower and free toiletries. An apartment with a living room, offering a flat-screen TV with cable channels and a seating area with a sofa. A designated dining area is available. Each of the bedrooms comes with a TV and a bathroom with a bath. The living room and the master bedroom are fitted with a fireplace. A well-equipped kitchen is at guests' disposal. The balcony overlooks the complex entrance area and the mountains around. This apartment offers views of the mountain, a living room with a sofa and a fireplace. It is located in building 4 of the complex. - For the first-time skier in your company - ski equipment for 1 person for 1 full day. - 2 hours of individual ski lessons with a qualified ski instructor. The Grand Monastery is all about ski fun and holidays! Spacious and well equipped apartments right by the ski slopes, for families and friends. Lots of facilities - swimming pool, bowling, 2 restaurants, kids club, night club, fitness, ski rentals & ski school, and friendly smiles from staff. For beginners and intermediate skiiers this is the right place to explore Bulgaria and fall in love with it. House Rules Grand Monastery Hotel Apartments takes special requests – add in the next step! Grand Monastery Hotel Apartments accepts these cards and reserves the right to temporarily hold an amount prior to arrival. Please note that the spa center and restaurant are open from 20 December until 22 March. The apartment wasn't so clean and it had a smell here and there. We only had one key because the previous group lost one (couldn't they change it?). The worst part of it was that we stayed at a high level, we had to take the escalators 5 level and then elevator another 4 i think. At the arrival moment everything was great, but the escalators don't go down, only up, so we had to go down 5 levels on the stairs with luggage. The elevator doesn't work properly. The water in the spa pool I find it a bit cold. It is 26-27C' after the whole day on the track in the mountains. Only 1 English speaking TV channel RT ! it is not appropriate for disabled people and pushchair. There is only escalator to up, but not to down. The staff is very kind and polite. The hotel is very close to ski centre, just a walk distance. Overall cleanliness and maintenance were not on the expected level. It is huge and dirty. All the facilities are old and not well maintained. The concrete destroyed the mountain completely. The escalators inside make you feel like you are in an old decrepit mall, not in the mountain. Breakfast was horrendous - there was not a single fruit offered and the quality of the food was rather bad. Bathrooms were dirty and clogged. We were supposed to stay for four nights left after two. Never going back. Staff at reception were extremely unfriendly. There is a complete mess in the hotel. There is no communication between the hotel units. It is unfortunate for me how a hotel located in a luxury ski resort is forbidden to enter with ski boots, even in the flooot. When we found out that there was only one bathrobe in our apartment and we asked for more, we were told from reception that this is not a spa hotel and that they can not offer us more bathrobes. 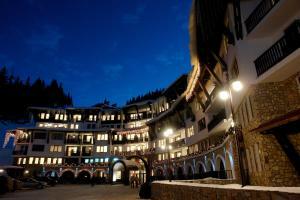 Since it is not a "spa hotel", it is not a "ski hotel", then what is it really? I think it is a hotel that relies solely on the name of its owners and in no way responds to a 4 star hotel! Тhe only good thing about this hotel is the location. Everything else is a complete parody! There was no option for parking-it was completely full! Very small for the capacity of the hotel The boiler in the bath was not enough even for 1 person. It was limited on temperature which was not enough. It was cold in the room-only one small heating unit. The ski store room was wet, cold and crowdy-not enough capacity for the hotel. The staff was great. The apartment was reasonable as size and equipment. Very old fashion, terrible common parts, ugly and dirty. Escalators work one direction only. 5 escalators to Building 5, where my studio was. Space not organized well, signs not clear and very confusing. Disgusting smell in the bathroom. Location is great, right next to the slopes. But infrastructure is very bad. No sidewalks, snow not cleaned, icy and dangerous. Morning breakfast could have a bit better. The apartment was really nice big and spacious.